Cold season is chunky knit sweater season. It’s time to stow away the tight & thin summer clothes and wrap ourselves in loose and comfortable winter apparel. 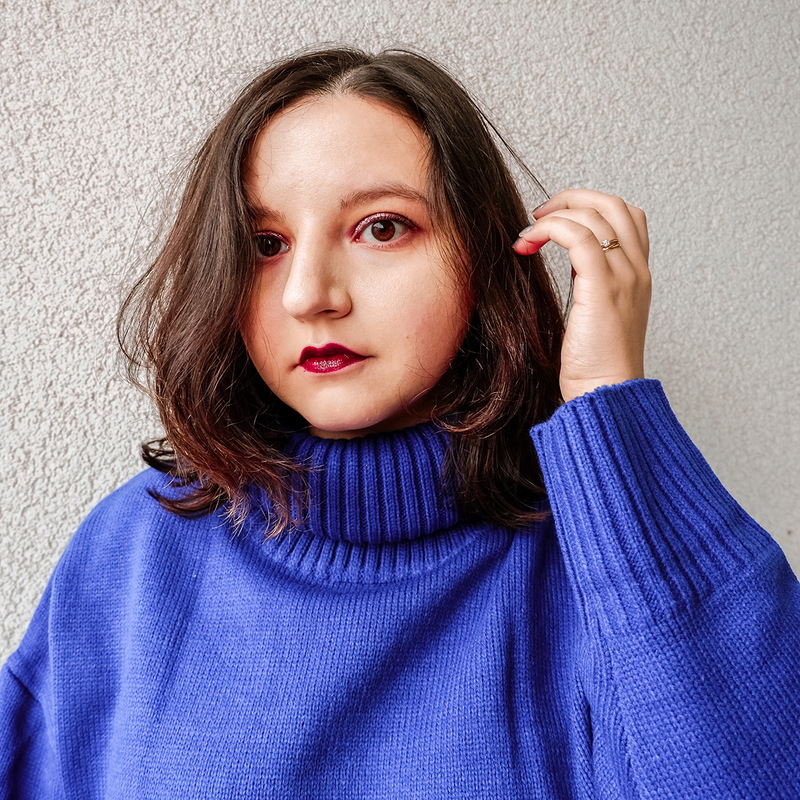 I have the same chunky turtleneck sweater in two colors that I have been wearing on repeat ever since the weather got chilly. They are perfect for a quick outfit and will always make you look put together. The laziest outfit is pairing them with black leggings and warm UGGs. But if you want a more elevated outfit, check out the 3 ways you can wear a chunky knit sweater. One of the easiest and safest ways to wear a sweater is with your favourite pair of jeans and a classic camel coat. Go for a bold blue color to contrast nicely with the coat. Pair your favorite chunky knit sweater with a pair of work pants. My favourite are these patterned pants that are super versatile. For a less boring look, pair the pants with an emerald turtleneck sweater. An embroidered skirt is a statement by itself. When the embroidery is multicoloured, there are so many choices for your sweater. I personally went with my green sweater, but I could have definitely gone for the blue one and even shades of red, pink and purple. Chunky knit sweater don’t have to always be part of lazy outfits. How are you dressing them up this winter to look elevated but also feel comfortable? You styled this beautifully, love this sweater with the skirt! Super cute! I love a cozy sweater- these are some great looks! This is such a helpful post! I didn’t know sweaters could be worn with other articles other than Jean’s! Thank you for sharing this!!! so much for sharing, and helping me learn sweaters can be worn with more than just Jean’s! Love the photos!!! I love chunky knits! I usually wear mine under pinafore dresses!